The One-Line: The drama club gets mixed up with the mischievous auditorium ghosts who sprinkle love-spider poison in the eyes of a student, making him fall in love with the wrong girl. 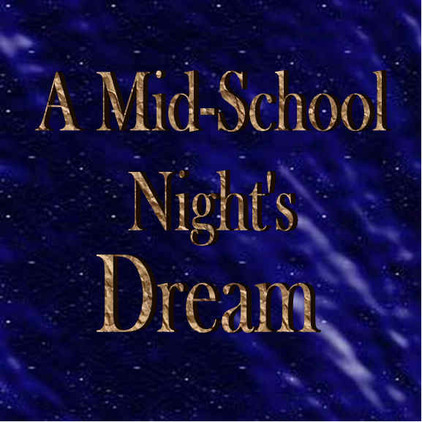 school and performed "A Midsummer Night's Dream." Half of the students understood it but the other half was confused. This play is a modern version of the classic story. After reading, performing or seeing this play, the Shakespeare Classic will come to life for anyone. Synopsis: It seems that every theater in the world is haunted by a ghost or two. The setting for this play is your school’s theater and the ghosts who haunt it are up to their usual mischief. When that particularly pesky spirit, Peck, jumbles up the commands from his master, Cameron, King of the Dead, several living students in the school become the victims of mixed up love spells causing unplanned but hilarious chaos. The drama club also suffers the consequences of Peck’s ghostly magic as they prepare a “Shakespearean” play to be performed for the entire school. But just as with Shakespeare, this modern tale of his classic work ends up as it should; with a happily ever after ending. A Detailed Synopsis: Lynus loves Harmony, and Harmony loves Lynus. Helen loves Demetri; Demetri used to love Helen but now loves Harmony. Regis, Harmony's father, the vice-principal of the school, wants Demetri to take Harmony to the school dance, and enlists the aid of Theresa, the Principal, to enforce his wishes upon his daughter. Harmony is given the choice between Demetri, or military school. Harmony, ever defiant, chooses to secretly go with Lynus and they makes plans in the school theater that night. But complications arise in the theater. Cameron and Teetasha, King and Queen of the school theater Ghosts, are locked in a dispute over a new ghost whom Teetasha has adopted. Cameron instructs his servant Peck to bring him the magic poison from an infected spider, which Cameron will sprinkle in the queen's eyes as she sleeps, whereupon Teetasha will fall in love with the first creature she sees upon awakening. Meanwhile, Helen and Demetri have also come to the theater after Lynus and Harmony. Cameron, overhearing Demetri's denouncement of Helen, takes pity upon her and tells Peck to place the magic venom on the eyes of Demetri as well, so that Demetri may fall in love with Helen. Peck, however, makes the mistake of putting the drops in the eyes of Lynus instead. Helen stumbles over Lynus in the theater, and the spell is cast; Lynus now desires Helen and renounces a stunned Harmony. In the midst of this chaos, the drama club members are rehearsing for a production of "The Love Life of William Shakespeare” to be performed during a break at the school dance. Peck mischievously casts a spell on Jack Heiny to give him the head of a donkey. Jack Heiny, as luck would have it, is the first thing Teetasha sees when she awakens; hence, Jack Heiny ends up being lavishly kept by the Queen and her ghosts. Cameron enjoys this sport, but is less amused when it becomes apparent that Peck has botched up the attempt to unite Demetri and Helen. Cameron himself anoints Demetri with the love venom and ensures that Helen is the first person he sees; however, Helen understandably feels that she is now being mocked by both Demetri and Lynus (who is still magically enamored of her). Finally, Cameron decides that all good sports must come to an end. He puts the four would be steadies to sleep and gives Lynus the antidote for the love potion so that he will love Harmony again when they all wake up. Next, Cameron gives Teetasha the antidote, and the King and Queen reconcile. Theresa and Henry Hippo then discover Lynus, Harmony, Helen, and Demetri asleep on the stage of the theater. All try to make sense of what they think is a strange dream. 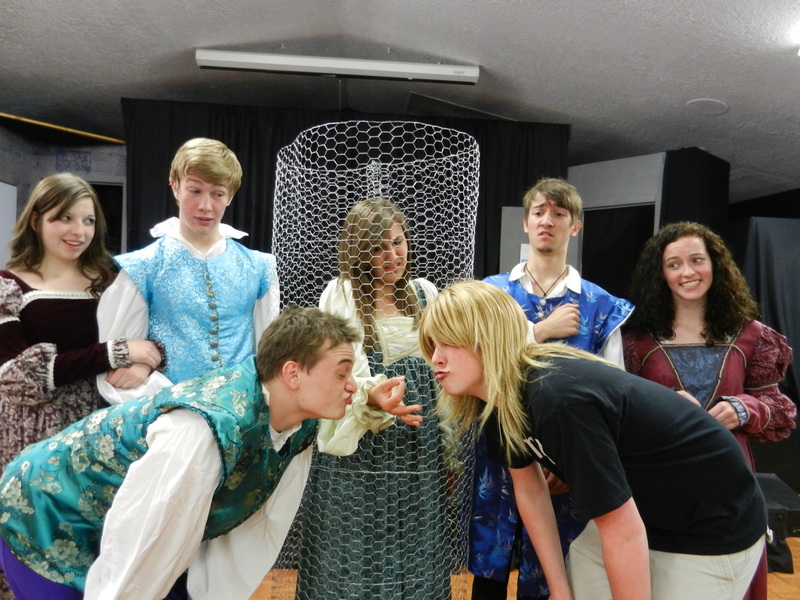 Likewise, Jack Heiny returns to his troupe, and they perform "The Love Life of William Shakespeare" at the dance. As the evening ends, the ghosts perform their last haunting and Peck along with the entire cast delivers a tender epilogue.